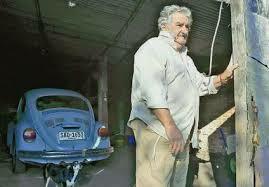 MEET WORLD'S POOREST PRESIDENT,JOSE MUJICA !! 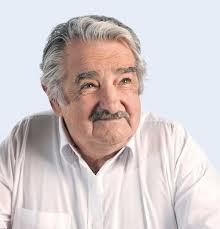 Jose Alberto Mujica,Uruguayan president is named as the world's poorest president due to his frugal ways of living.His salary is $12000 a month but he gives away around 90 percent of his whole salary to charities,small entrepreneurs and people living in hard conditions. This brings the amount he lives on, approximately $800/month, to that of the average Uruguayan’s.While that may be modest, he doesn’t feel poor. 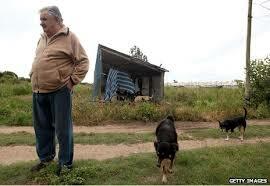 Mujica believes it’s not what one has, but having an endless craving more, that makes one poor. He left the Presidential Mansion to continue to live in his modest house on a dirt road in a rural area outside Montevideo. He chooses to have a simple lifestyle, he says, so he has time to live how he wants to live. Important - Make sure to click the "Subscribe By Email" link below the comment for to be notified of follow up comments and replies. I have read so many articles or reviews concerning the blogger lovers however this article is actually a good paragraph, keep it up.